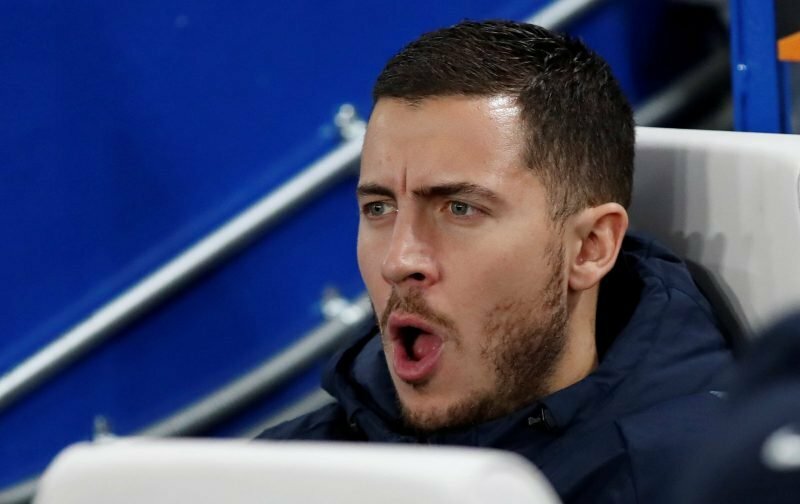 Left on the bench for the fixture against Cardiff City, after playing 180 minutes of international action, Eden Hazard must have been bemused by the selection policy of Maurizio Sarri. Once again, without Hazard, Chelsea looked ponderous and lacked creativity in the final third, the scenario only changing when the 28-year-old was introduced as a substitute. Today, as we’ve come to expect, Hazard’s name has once again been linked with a move to the Spanish club, Real Madrid. It’s starting to look as if the move has a degree of inevitability about it, even though Chelsea’s two-window transfer ban prevents them from recruiting a replacement. Today’s little piece of tittle-tattle relating to the move comes from the news source, Marca, which reports that Hazards move to the Bernabeu is dependent upon Zinedine Zidane sanctioning the move. Personally, I’m of the belief any such move has to see Chelsea agreeing to sell Hazard and the player finally coming out and admitting he will be leaving at the end of the season. Don’t you agree?